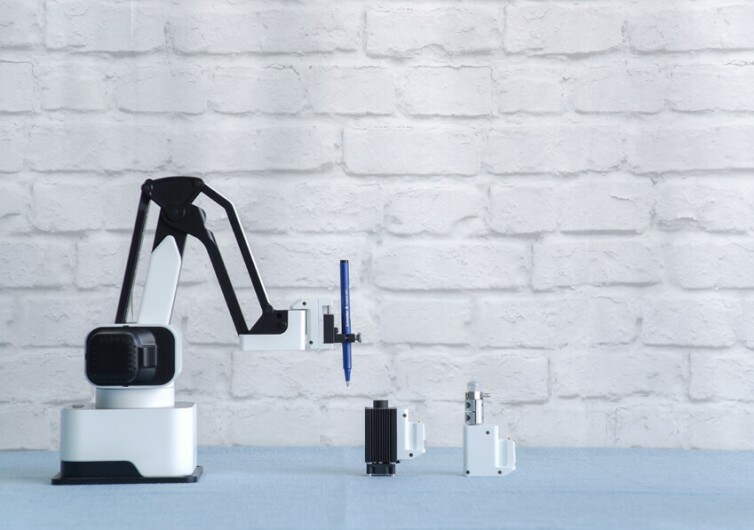 The Hexbot is a robotic arm that comes with four distinct modular features for everyone. The design aims to empower the creativity of designers and DIYers. It’s for ordinary individuals who may have a brilliant idea, but lack the means to turn them into tangibles. 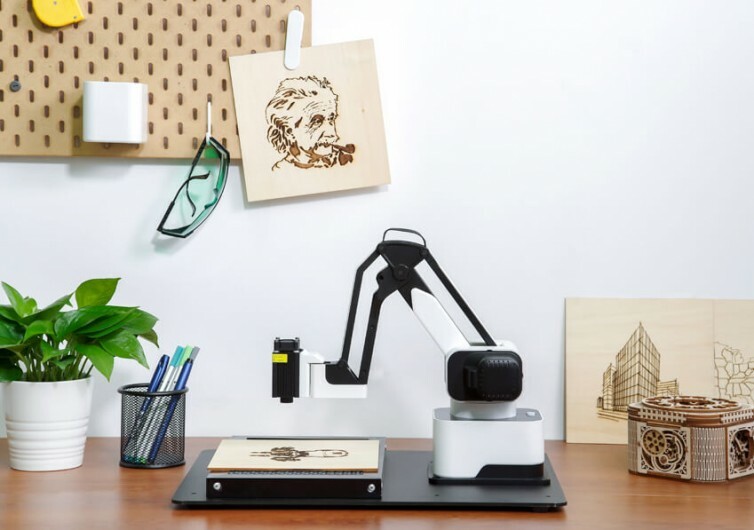 Unlike other robotic arms that cost a fortune, Hexbot is a very affordable solution. What’s more, it comes with four modular attachments for different functions. 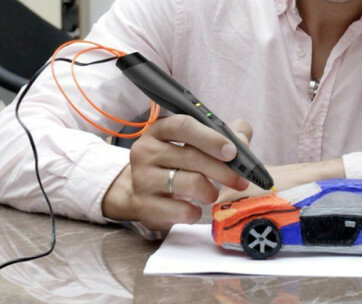 It comes with a Drawing & Writing Module that allows it to write notes and letters in the same way as you use a writing pen. 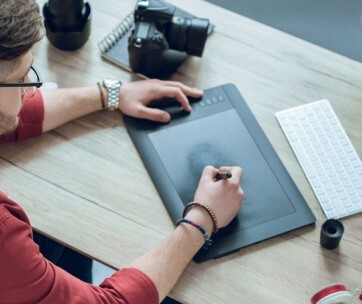 It can sketch and draw, turning your creative potential into a reality. 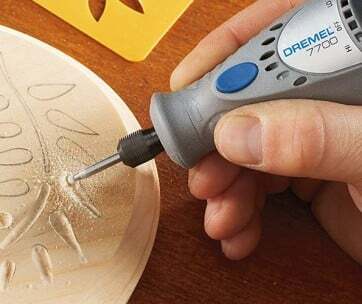 The Laser Engraving Module is perfect for etching your designs onto almost any surface. Engrave your designs on ceramic, glass, leather, wood, and many more. The possibilities are numerous to think about. The Hexbot also comes with a 3D Printing Module. It is true that 3D printers now come at a price that is a lot friendlier than before. But those 3D printers cannot perform laser engraving, drawing, writing, placing, and picking activities. 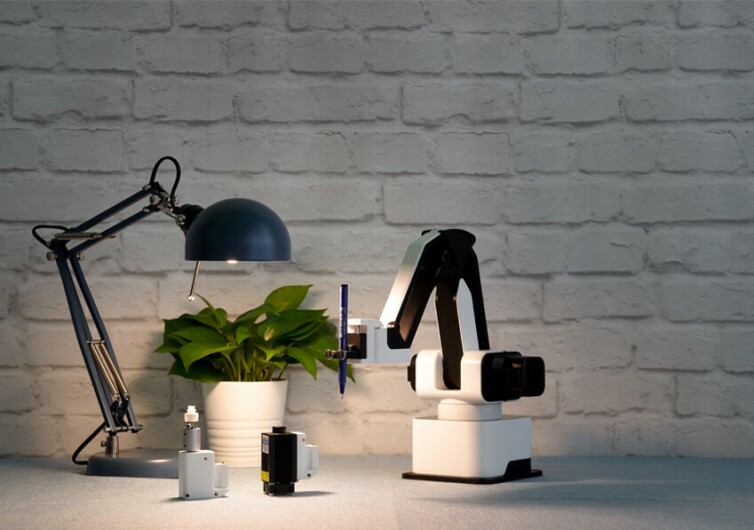 This gives the Hexbot exceptional value since it already integrates 6 different functions in one device. Like a true robotic arm, the Hexbot can pick and place anything that you program it to. 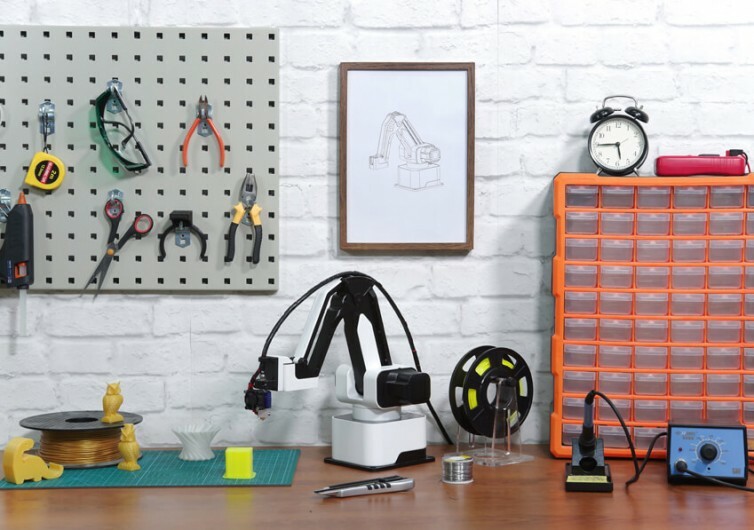 It’s the perfect tool for your kid to learn about simple robotics. It doesn’t matter if you don’t have an inkling about how programming and robotics work. The Hexbot’s software is interactive and intuitive enough to allow for ease of use. There are no complex algorithms to memorize. For developers, there’s a unique API in Hexbot to allow for greater control. Hexbot is a nifty gadget that does the job of 6 different devices for the price of one. It’s easy and fun to operate, giving you results that are stunning.